For British homeowners, picturesque and affordable Normandy has the added bonus of being easily accessible by car, either via the ferry or Eurotunnel. In some cases, a train from London or a short flight might also be a feasible option. Here’s a quick guide to the best areas for easily accessible holiday homes in Normandy. The Seine-Maritime is a great spot for some of the most easily accessible holiday homes in Normandy thanks to the ports of Dieppe and Le Havre. Part of the Higher Normandy area, ­­­­this department includes the ports of Dieppe and Le Havre. These offer ferry services from Newhaven and Portsmouth respectively, making it a great spot for easily accessible holiday homes in Normandy. 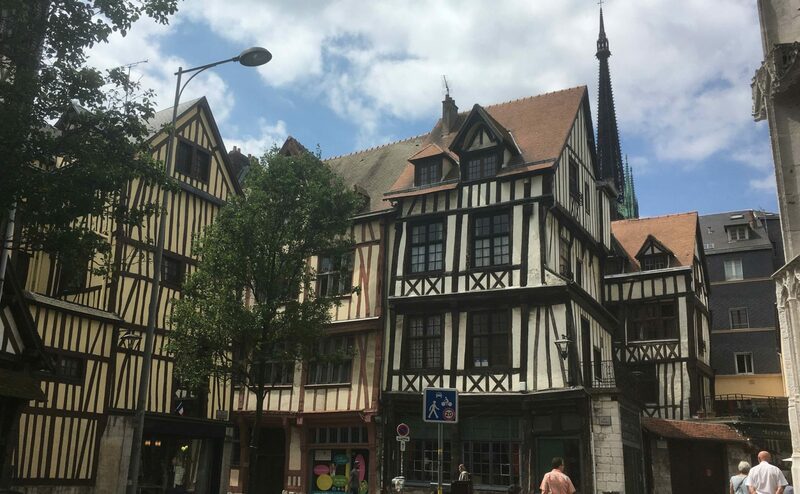 It is also home to the city of Rouen, which has a glorious medieval centre and is just 75-90 minutes by train from a London connection in Paris. Meanwhile, wherever you are in Seine-Maritime, it’s difficult to be more than two-and-a-half hours from the Eurotunnel terminal at Calais. In other words, it’s fantastic for easily accessible holiday homes in Normandy. Highlights of this area include a collection of pretty port towns dotted between the chalky cliffs of this often dramatic stretch of coastline. These include Dieppe itself, with its harbour fringed with historical architecture and long, sweeping beach. Thee are also the pretty towns and villages of Étretat, Saint-Valery-en-Caux, Yport, Le Tréport and Fécamp. Make sure that you don’t just get the best location, but also the best price. 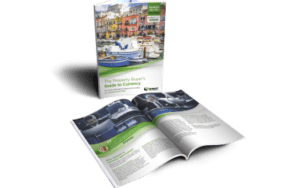 Explore our free insider guide, How to Negotiate Abroad, for help and advice from estate agents. Typical British homeowners opt to be just off the coast, where prices are lower, in one of the many small towns or farming villages surrounded by rolling green hills. Here, you’re 45 minutes or an hour from Dieppe or Le Havre. Examples include Fresnoy-Folny, Neufchâtel-en-Bray, Forges-les-Eau or Ry. There’s a good choice of detached character properties, such as longères in these areas. Many are in good condition and with land for less than €250,000. As the name suggests, Seine-Maritime also includes a scenic stretch of the River Seine between its estuary on the Atlantic and Rouen. The riverside town of La Bouille is a particular gem. 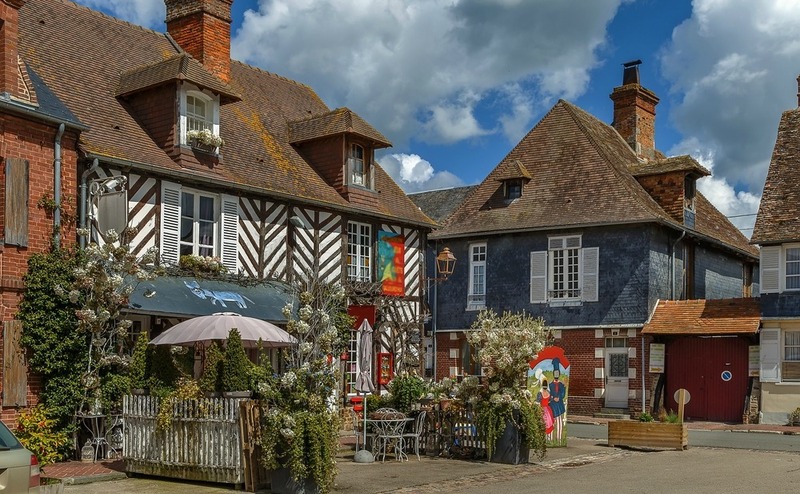 Pretty towns like Beuvron have some of the best easily accessible holiday homes in Normandy. Sharing its name with France’s celebrated apple brandy, the department of Calvados is an especially popular area in the Lower Normandy area. This is thanks in part to it being perfect for easily accessible holiday homes in Normandy. The port city of Caen, with its ferry service to Portsmouth, and Le Havre are close by. Otherwise, Calais and the Eurotunnel is still only an easy three-and-a-half-hour drive north. There are also flights to Caen from London Southend, operated by Flybe. Calvados’s rolling countryside is home to lush meadows and orchards, giving rise to its reputation for producing all things apple based, in particular cider. Its coastline is equally engaging, particularly on a historical level. Bayeux is home to the famous tapestry from Norman times – and its beaches were pivotal in the D-Day Landings of the Second World War. Coastal highlights include Honfleur, with its harbourside of timber-framed medieval buildings. There’s also the upmarket seaside resort of Deauvilleand and its equally charming neighbour Trouville. Other popular beach towns include Cabourg, Falaise, Houlgate and Villers-sur-Mer. Off the coast, two especially charming villages are Beuvron and Cambremer. The former is often described as one of the prettiest in Normandy. Popular with British homeowners in Calvados is an area known as La Suisse Normande (Norman Switzerland). This is an unspoilt area of wooded slopes and rocky outcrops that tracks the meandering River Orne. Pont d’Ouilly, Clécy and Le Vey are typical of the pretty villages in delightful, often overlooked, corner of the region. Property prices are similar to in Seine-Maritime, although higher in the upmarket resort Deauville and its neighbouring areass. The famous port of Cherbourg makes this an area with some of the most easily accessible holiday homes in Normandy. The most western department of Lower Normandy, Manche is home to Cherbourg. The ferry services to both Poole and Portsmouth add to the area’s appeal to British homeowners. Here you’ll also find one of France’s most iconic sites, namely the abbey and fortified island of Mont-Saint-Michel. 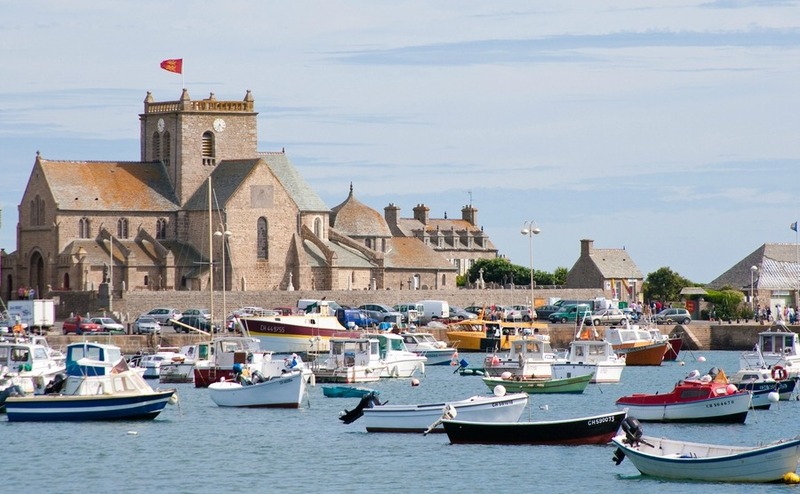 Other highlights of Manche include the fishing village of Barfleur, listed as among ‘the most beautiful villages in France’. There are also the seaside town of Granville and the cathedral city of Coutances. The unspoilt Contentin Peninsula is largely protected as the Marais du Contentin et du Bessin Regional Park. If you’re looking for a second home, choosing one of these locations for easily accessible holiday homes in Normandy could be just the ticket. You could be in your home in just a few hours – so you could easily pop over for a spontaneous weekend break. 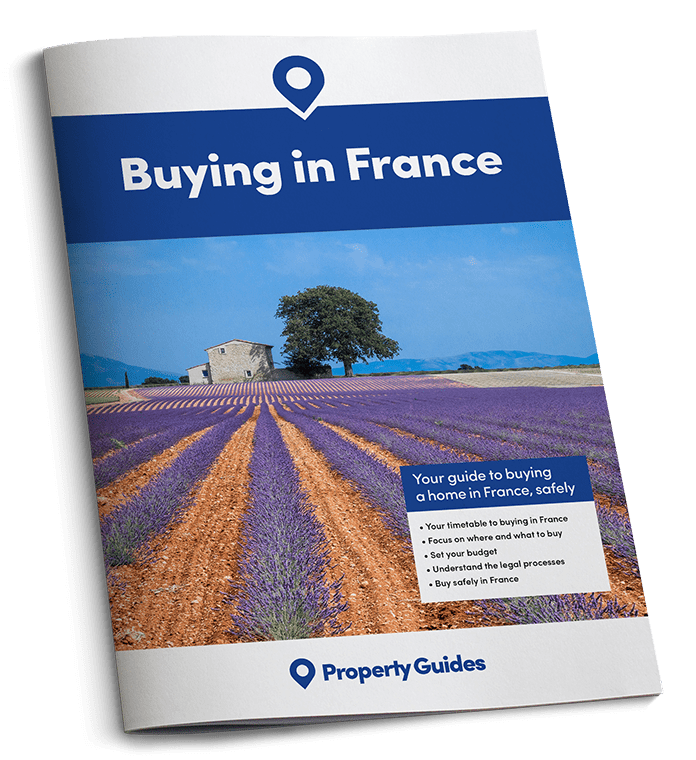 For more information, download your free, comprehensive France Buying Guide below. It covers everything from choosing an area, to finance, viewing trips, dealing with estate agents and more.